Pinterest released a series of new updates, allowing users to better organize their Pins and boards. First, users can now archive boards they no longer need, such as wedding boards. Archived boards are saved in a new section at the bottom of a user’s profile, and only the creator can see their archived boards (they can still be shared using the send button). 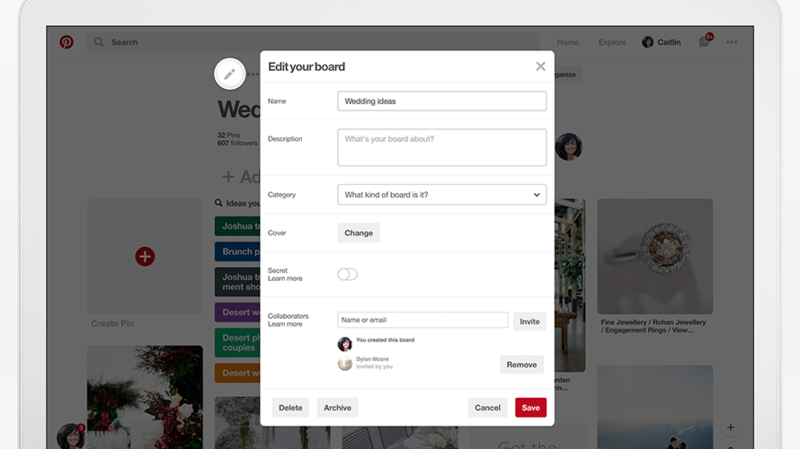 When a user archives a board, Pinterest will update their content recommendations and notifications accordingly. For instance, if a user archives their wedding board, Pinterest will stop giving them recommendations related to things like wedding dresses and bouquets. Next, users can now reorder sections within a board. Sections were introduced in late 2017, and they allow users to group multiple Pins together into sections within a single board. Similarly, users can also now rearrange Pins within their boards. For example, users can rearrange recipe Pins based on when they want to cook them. 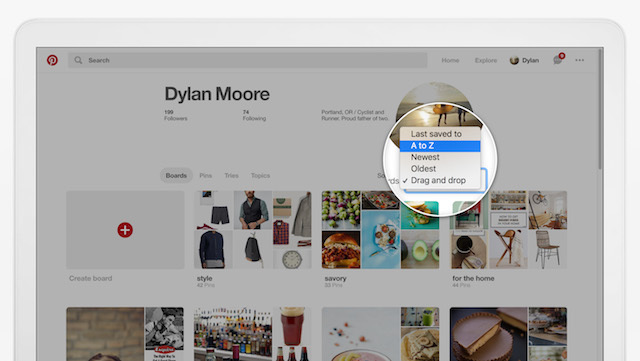 Finally, Pinterest users on the web can now sort their boards by clicking the “Sort boards” button on their profile. Users can choose from a variety of sorting options, including alphabetical order, “most recently saved to,” newest boards, oldest boards and “drag and drop,” which allows users to rearrange their boards by dragging and dropping them into a custom order. These updates are now rolling out to Pinterest users on the web, as well as iOS and Android users running version 6.44 and version 6.52 of the Pinterest application, respectively.